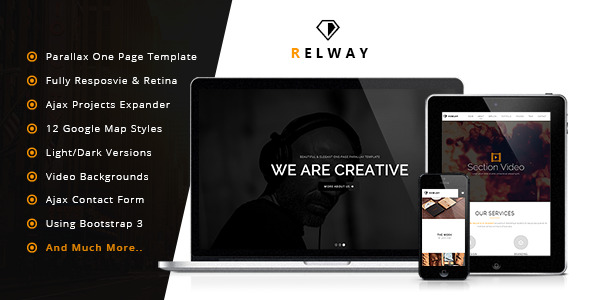 Relway is a beautifully simple, and striking “One-Page” creative template It looks awesome on Retina screens, and is perfect to use, from freelancer to agency, and everything in between. The template is fully responsive, and looks amazing on your smartphone, tablet, and desktop. Looks Stunning on Retina Screens.